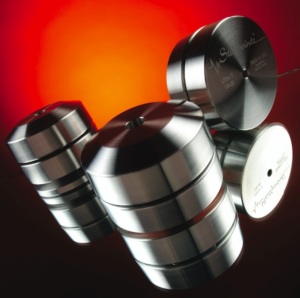 Upgrade your hi-fi system without upgrading a single component! The hi-fi industry has grown over the years because customers are forever on the upgrade path. They start with a particular amplifier, cd player and speakers and inevitably after a period of time the upgrade bug starts to bite. A demonstration of the next amplifier up in the range or larger speakers typically takes place (although worryingly not always) and a part exchange deal is done. Happy days all round! Or is it? I’ve spoken to countless customers over the years who have ‘upgraded’ something in their system only, when the dust has settled, they have been a bit underwhelmed by the benefits that ‘upgrade’ has allegedly brought, and invariably it cost them a lot of money…….not an ideal scenario and unfortunately it is more commonplace than you might think. As with Entreq, Stillpoints focusses on the components in your system to enable you to get the very best out of them. Invariably you will not have heard your system in anything other than 2nd or 3rd gear if you haven’t had Entreq or Stillpoints integrated into it. They can’t fix or transform an inherently bad system, I must stress that, but if your system does things that you like and enjoy, you can take your system much further without upgrading anything you already own! Get the infrastructure right and your system will really sing and when you do upgrade your amplifier or speakers you have everything already in place to get the very best out of them. So what are Stillpoints and what do they do? 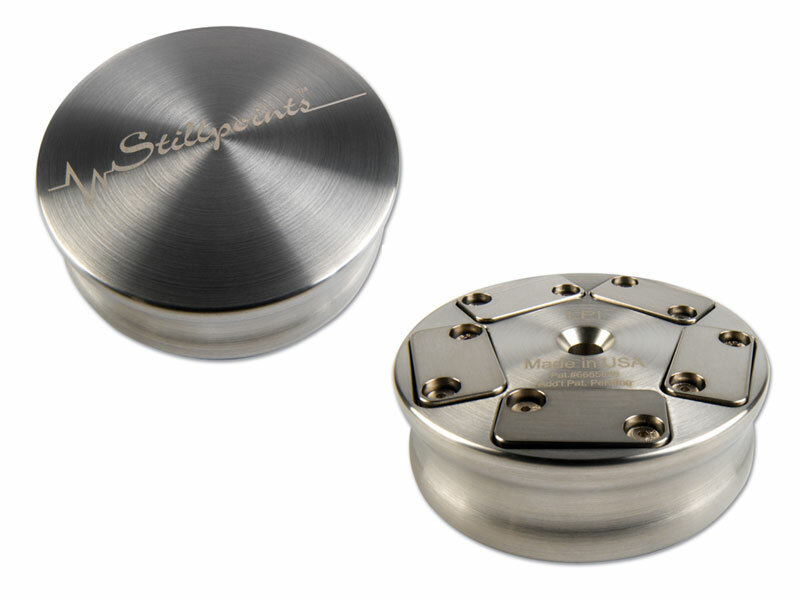 Stillpoints are isolation devices that sit under your components and loudspeakers, effectively decoupling them from the environment on which they sit. 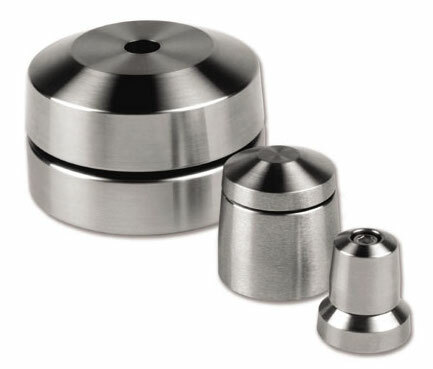 They are manufactured from ceramics and the highest grade stainless steel available and as a result will last for many lifetimes and see you through countless system upgrades. 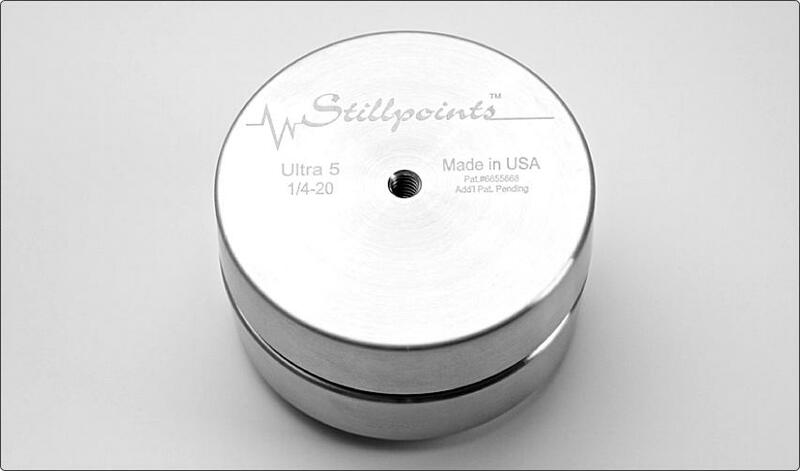 By installing Stillpoints under an electronic component like an amplifer (or a speaker) you are effectively eliminating a direct path between the component and whatever surface it sits on and as a result you mechanically lower the noise floor. By doing this you increase dynamics, heighten transients, increase the amount of air and space resulting in a much more musical and natural presentation. You will get a benefit from just putting Stillpoints under 1 component in your hi-fi, but when you float the entire system a scary thing happens with the presentation. I can’t recall doing a demonstration of Stillpoints which hasn’t resulted in someone being amazed with the results, several incredibly sceptical customers have almost become unofficial brand ambassadors, waxing lyrical about the benefits of Stillpoints online! We can even tweak the level of performance gained under electronics by adjusting where they are positioned. In a good system which is transparent and revealing, you can hear the sound changing when you alter the location; this is where the expertise and knowledge of a good dealer pays dividends. It’s easy to click online and have something arrive in the post 48 hour later, but if you want the best of your purchase and system it really needs demonstrating and installing correctly so you can see what happens when you do it properly. Please don’t assume they are just “isolators you can stick under your hi-fi to make it sound a bit better”, they are so much more than that! Build quality is of the highest standard with the name laser etched into all of their products. All of the stainless steel has been especially selected for the job in hand and every piece has been cryogenically frozen in the factory. Technically they could be called resonance control filters. 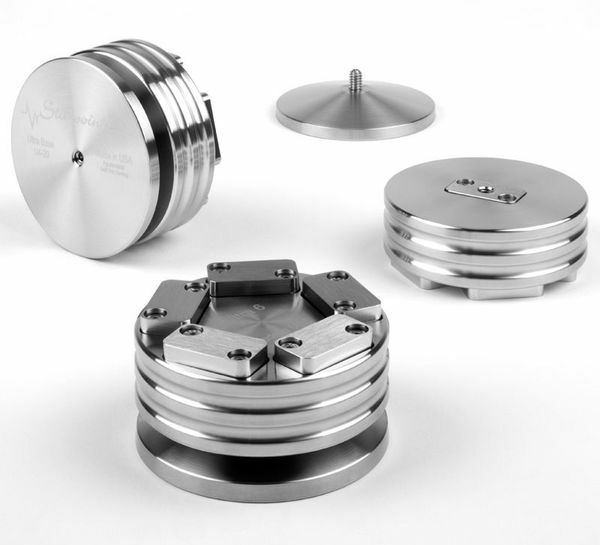 Inside each Stillpoint are a number of technology pockets containing ceramic ball bearings and steel races; these are designed to offer absolutely minimal contact with one another effectively “floating” the component they sit underneath. The number of pockets varies from component to component and the peformance on offer changes as you move up the range. What they do to the performance of a system is nothing short of incredible; as outlined above, they increase resolution and textures enabling you to hear multiple musical layers that previously were just congested together as one. You hear so much more of the musical performance, one brilliant example is the opening track to the fantastic album ‘Diamond Mine’ by King Creosote & John Hopkins called ‘First Watch’ which is a field recording set in a busy cafe. On most systems you can hear the background noise as one, the clinking of china cups and the voice of the lady behind the counter, but once a system is floated what you hear is so much more. There are various conversations taking place which you can now hear that previously just disappeared into the background. By the way it’s a superb album and I one I would highly recommend, a very powerful and emotional recording! 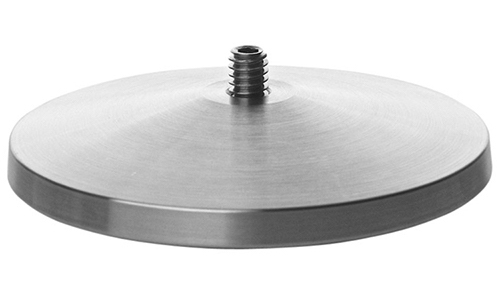 There is an extensive range of Stillpoints available, with 4 primary models, wall panels, bases, threaded adapters and a wonderful device for turntable lovers! Plus of course the highly coveted equipment stand. Where do I start? What do I Stillpoint first? Good question and a very relevant one. Not everyone is in a position to purchase enough Stillpoints to float a pre-amp, power amp, streamer, DAC and speakers in one go. Most of my customers will go one component at a time (or 2) so they can spread the outlay over a sensible length of time and really appreciate what they do to the sound each step of the way. The raison d’être is to remove excess energy; how much and where it is generated from varies from system to system. A glass and metal equipment stand is bad with lots of ringing and energy transferance from the stand/glass back into the components, so starting there with the source component makes a lot of sense. Generally wood equipment furniture is less bad, but overall in most scenarios starting with the loudspeakers will give the biggest benefits, after all, the speaker is moving lots of air and the speaker and its cabinet (and its interaction with the room) is what gives you the open window to how you hear your system. 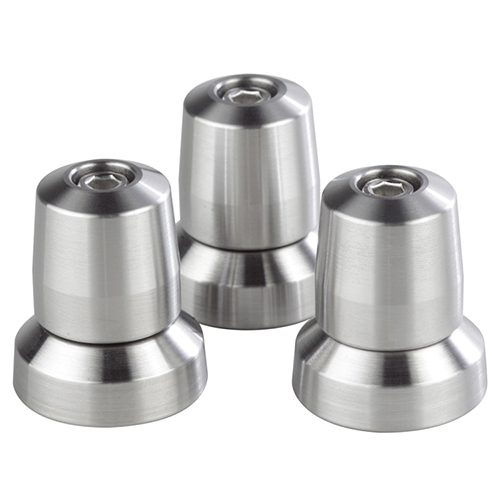 With the correct threaded adapters, bases, some patience and experience the effect they can have is truly exceptional. If you are using standmount speakers they should go between the stand and the speaker, NOT underneath the stand. We want the technology pockets to be as close to the speaker as possible! You’ll hear less of the speaker, a lot less of the cabinet and a huge increase to the amount of music you can hear as a result. Obviously with a pair of floorstanders they simply replace the spikes. When we move to the system itself conventional wisdom would suggest you start with the source component as this is the most sensitive, but you have to remember that with Stillpoints we are trying to remove excess energy and after the speakers, where is the most energy generated from within a system? The amplification. A large integrated or power amplifier will create a lot of unwanted mechanical energy due to vibrating main transformers and large capacitors, so this is always an effective starting point with electronics; of course, this can vary from system to system and I would always recommend listening to your system to see how it reacts with Stillpoints. Having a proper demonstration in the comfort of your own home with your own system is the best way forward with Stillpoints. If you want to hear your system perform to its very best without constantly having to lose money on crazy part exchange deals you owe it to yourself to have a listen, you won’t regret it! Please give them the benefit of the doubt and don’t dismiss based on what someone on an Internet forum has written!